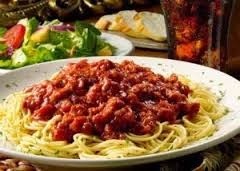 FREE Spaghetti at Spaghetti Warehouse Friday (1/3)! Celebrate Spaghetti Warehouse’s National Spaghetti Day on Friday, Jan. 3rd and enjoy a FREE Spaghetti Entree with this B1G1 FREE COUPON! This would make a perfect time to treat a friend or family member to lunch or dinner!! Previous postKohl’s 15% Off Savings Pass! Next postFREE Advanced Screening to RIDE ALONG @ Houston AMC! HURRY! !